Joshua has been producing video for more than 10 years. After attending film school at the University of Hawaii, Manoa, he went on to begin producing videos for small businesses. After moving to Florida in 2011, he began coaching and training real estate agents in developing and implementing content marketing strategies to help grow their brands and businesses online. 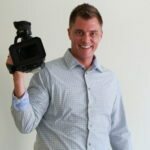 Leveraging the power of video, social media and blogging real estate agents he has worked with are now gaining more exposure and growing their businesses quicker than ever before. Get free tips on video marketing for real estate on his blog at http://www.joshuadabel.com/blog and follow him on Facebook at http://www.facebook.com/itsjdabel. I’ve worked with dozens of agents one-on-one and there seems to be a common mindset. Video is overwhelming. There’s all this equipment to buy, it takes too much time, and I can’t afford to hire a professional.